Not all entrepreneurs have the drive, initiative, and persistence to make it to the top. It takes a savvy operator who can evaluate risk and is not afraid to take it. It also means choosing great brands, assembling a talented team, and attracting raving fan customers to make it all work. Only a handful of operators can pull it off. We found six who did. For our annual Mega 99 edition, we search out operators with unique stories who have achieved “mega” status. Each has a personal tale to tell, full of hopes and dreams, wins and losses, painful setbacks and triumphant successes. They are textbook examples of all that is good in the world of franchising. spent a decade in the NFL as a defensive tackle before turning to franchising as a second career. He’s also founded an equity management company that oversees $150 million in managed assets and a real estate investment company. The busy father of five and triathlon competitor operates 15 Firehouse Subs in Florida, is developing 42 more in Wisconsin, and in 2013 was named the IFA’s Franchisee of the Year. thinks big is an understatement. The 38-year-old is head of KBP Foods in Kansas City, a $250 million company that operates nearly 300 KFCs, Taco Bells, and Long John Silver’s in 9 states. He loves to see his people succeed and is committed to actively giving back to his community. His company is regularly ranked in the top 10 fastest-growing restaurant companies in the country. is the consummate small-town boy who made it big. 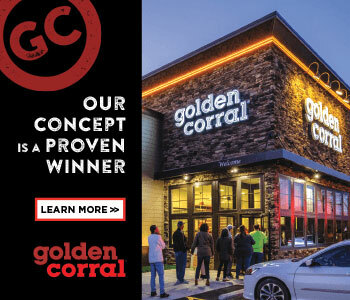 He’s gone from growing up on a farm in the northwest corner of Texas to building a large franchisee organization in Springfield, Missouri, where he oversees 75 KFCs, 13 KFC/Taco Bells, 2 KFC/Long John Silver’s, 2 Ruby Tuesdays, and 2 HuHot Mongolian Grills. His path to success has been full of hard work and sweat equity, and at 65 he’s showing no signs of slowing down. is Louisiana’s largest Sonic franchisee, with 54 locations across the state. He’s overcome some tough times, including the murder of his older brother and business partner, Gary, in 1984. Kergan says it took him years to recover. If nothing else, he has shown remarkable resilience and today says he feels blessed beyond what he ever could have expected. We also reconnected with two franchisees we’ve profiled in previous issues. had 18 Great Clips salons in Atlanta when we profiled him in 2008. Today, he has 39, plus 11 T-Mobile stores and one Smoothie King. In the process, he’s added partners and has been growing aggressively. With $18 million in annual revenue, he’s not looking to slow his expansion efforts any time soon. No matter their background, experience, or training, you’ll find inspiring stories behind all these successful operators. Whether you have a single unit or dozens across several brands, you’re sure to discover something interesting, educational, and even entertaining in the stories of these six multi-unit franchisees.